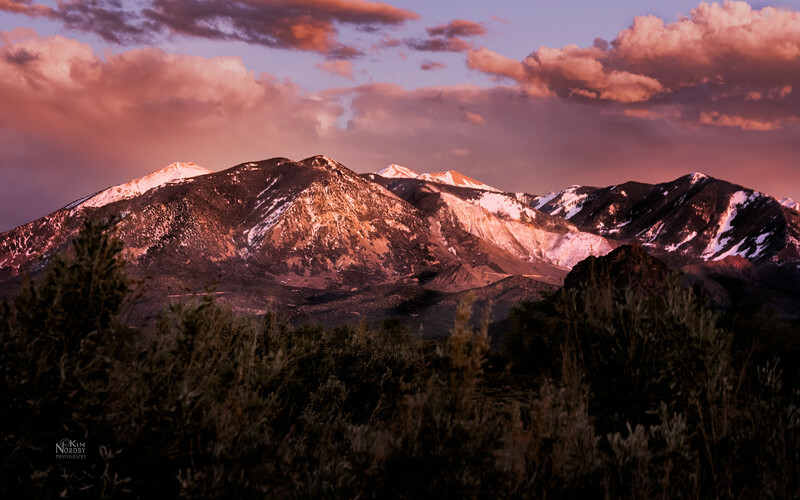 "The La Sal Mountains are Utah's second highest mountain range, and form the famous background behind Moab and background scenes such as Fisher Towers, Canyonlands National Park, and Arches National Park. The La Sal means "The Salt" in Spanish and the mountains were named by the Dominguez/Escalante Expedition in 1776. There are two stories about the naming of the La Sals. The first is that they were named because the soils and valleys surrounding the mountains contain salt. The second is that since the Dominguez/Escalante party passed through the area in August, they just couldn't believe the mountains were covered with snow, so they assumed they were covered with salt as are some of the surrounding valleys. Since summer temperatures often soar to 110F or higher in the valleys, the story isn't as far-fetched as it may seem."